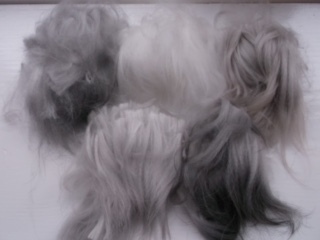 The quality of the English Angora wool is second to none. It is silky and soft and has excellent texture and sheen. As the babies grow you should be able to see crinkles (crimp) in the shaft of the wool. 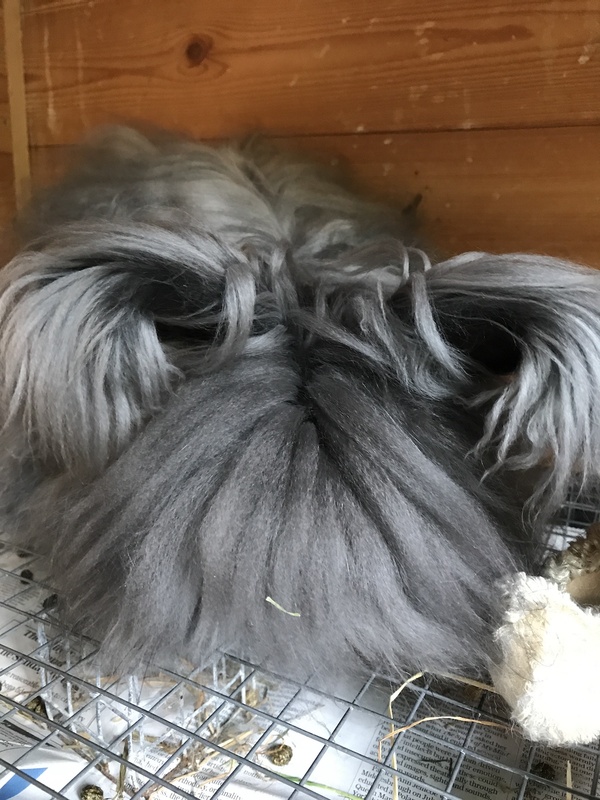 The English Angora has the finest wool of the Angora breeds. It is very clean compared to sheep’s wool, being 98% pure, whilst sheep’s wool consists of 50% grease. It is very warm as it is full of air cells, which increase its insulating properties. 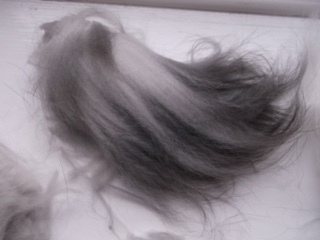 The wool grows very fast on the rabbit, at approximately 1 inch per month, and the rabbit is clipped 3 monthly for spinning wool. The best wool for spinning grows on the back and flanks of the rabbit, whilst the coarser chest and tummy wool is excellent for felt. A rabbit’s wool production declines with age. 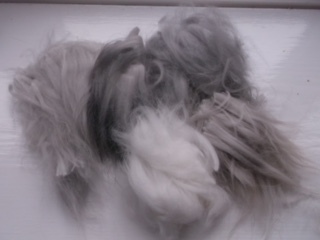 It is not necessary to wash Angora before spinning. After spinning the yarn can be washed gently in lukewarm water with a suitable wool detergent such as Woolite, or the knitted product can be washed and blocked. Posted 23/01/2018 by LH & filed under Wool Products.